Third generation family and woman owned Beacon Converters, is well known in the industry for its sterilization packaging expertise and is led by President, Jackie Daly Johnson. 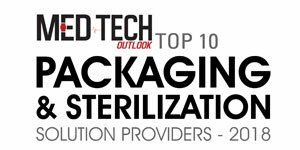 Now in business for more than 70 years, this New Jersey-based company has established itself as a sterilization packaging manufacturer for the medical device, pharmaceutical, life sciences, and biologics industries. With a history that began in 1947 after the Second World War, Founder, William F. Daly—saw an opportunity to advance flexible packaging in a market dominated by boxed food and cans, under the name of Beacon Bag Company. His son—William P. Daly, former president, joined the business and later led the business towards sterilization packaging for healthcare, laying the foundation for innovation and products that protected patient safety. Since 1971, Beacon has been registered with the Food and Drug Administration (FDA) as a medical device manufacturer. “Our focus toward patient safety has contributed to our success over the years, from making and developing the materials to the final sterile product delivery,” says Johnson. Beacon works closely with high quality raw material suppliers who possess a wide range of technologies to create packaging materials that protect the devices from time of packaging through sterilization to final delivery. Beacon works directly with device manufacturers and healthcare providers to understand the use of devices and packages thoroughly. In partnership with AAMI, DuPont, and J&J, Beacon is creating educational resources for the healthcare providers. These resources will help the healthcare providers in acquainting themselves with package protection features, proper storage of packaged medical supplies, and proper delivery techniques. One of the primary functions of a terminally sterilized medical device package is to be able to present the product aseptically at the point of use. Beacon has developed a variety of solutions that facilitate aseptic delivery of medical devices and also protect them during transportation. Beacon’s Tyvek® Tie Wraps are designed to hold multiple components or coiled tubing sets neatly inside the package. This assists in aseptic delivery and also organizes inside the sterile barrier. Beacon’s custom die cut insert cards have a variety of functions including organizing device components and protecting even sharp surgical tools from puncturing the sterile barrier. These flat cards can replace costly thermoformed trays and inserts and can reduce costs and material consumption dramatically. The Die Cut Insert Card proved to be the answer for a Massachusetts-based medical device manufacturer, CardioFocus. CardioFocus worked closely with Beacon and together they were able to replace an extremely large thermoformed tray with multiple inserts with a single sheet die cut insert. The award-winning final solution was an insert made from a single sheet of HDPE that formed a tray with complex elements to protect each part of the device that had unique protection requirements. The solution reduced the product footprint by half with excellent stiffness using 32 percent less packaging material and 50 percent less weight than its thermoformed tray counterpart. The use of Beacon’s Die Cut tray also resulted in significant returns on CardioFocus’ investment. Beacon listens to its customers and end users, and helps them create innovative solutions that will allow the products to be delivered quickly and safely. “Our true focus lies in helping our customers achieve their goals and consequently attaining our collective goal of ensuring patient safety,” mentions Johnson. The family-owned company aims to positively impact and guide the future of sterilization packaging with a continued focus on patient safety. By collaborating directly with the customer, end users, raw material developers, industry committees, and organizations, Beacon stays at the forefront of medical device packaging where they intend to remain for generations to come.